Almost all mic-equipped canalphones that can be had for about $100 use moving-coil drivers to produce sound, as is the case with all the previous IEMs in this review series. 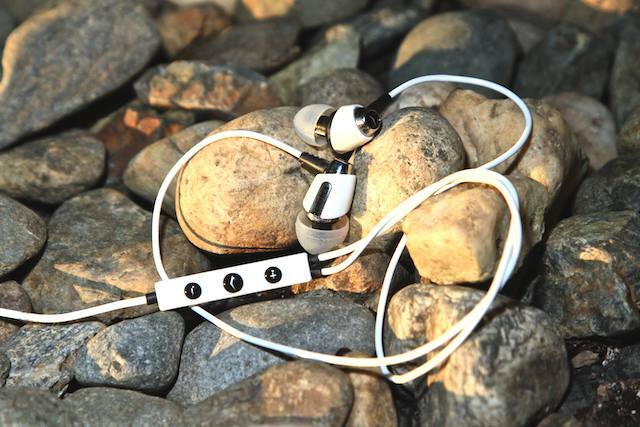 But the Ultimate Ears 600vi ($120) are different — this set employs a single tiny armature in each ear. Armatures generally allow for a more neutral sound with better definition than their moving-coil brethren, and that’s exactly the case with the 600vi. In fact, this set uses pretty much the same excellent drivers as in the now-discontinued, $180 SuperFi 5vi we reviewed early last year. 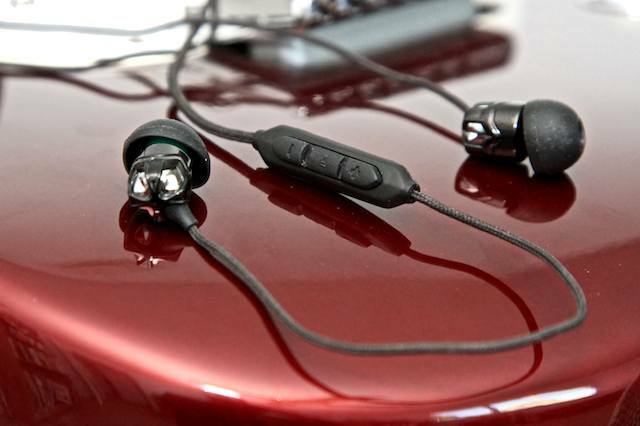 And yes, apart from the V-Moda Vibrato, the 600vi is $20 more than the other earphones in this review series — but we think the extra Jackson is worth it. Maybe you’re not going to buy a pair of earphones based on the way they look; maybe you’d rather spend your moolah on a pair that came with exquisite performance. What if you could have both? In spades? 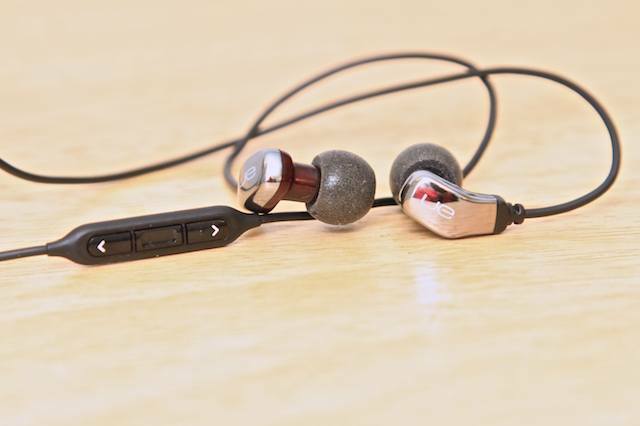 Here you go: With their deep, bone-tingling bass and blue-blood looks and manners, the Klipsch Image S4i earphones ($100) is the Prince…of Spades. I always feel like I should be wearing diamond-studded sunglasses, walking around in a silk bathrobe or drinking Cristal from actual Bohemian crystal whenever I sink a pair of V-Moda’s babies into my ears. This doesn’t have anything neccessarily to do with how they sound, but rather because V-Moda has a knack for creating earphones with exotic looks and a luxurious feel to them that also appeal to the other senses. And so it goes with the V-Moda Vibrato Remote earphones ($130).